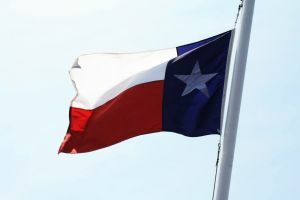 The Texas Supreme Court in the case Tanner vs Nationwide has ruled in a case concerning exclusions for “intentional acts” committed by an insured driver. The case facts involved a high speed chase wherein the driver, Gibbons was fleeing the police going at speeds in excess of 80 miles an hour in urban and residential neighborhoods, topping 100 miles per hour in rural areas, swerving across the road, going into and across fields, and around police cars. The chase ultimately resulted in Gibbons entering an intersection where the Tanner family was also entering and had the right-of-way. Gibbons did slam on his brakes and skidded to try and avoid a collision with the Tanners. Injuries resulted to the Tanner family. The Tanners sued Gibbons and took a judgment against Gibbons however Nationwide refused to defend Gibbons or pay for Tanners damages arguing the intentional-injury exclusion in the policy of insurance barred coverage for the Tanners’ claims. Nationwide contended that when Gibbons fled police, he voided coverage under the policy’s intentional-injury exclusion, which withholds coverage for: “Property damage or bodily injury caused intentionally by or at the direction of an insured, including willful acts the result of which the insured knows or ought to know will follow from the insured’s conduct”. The court focused on the word “intentionally” as used in the exclusion saying that it speaks to the resulting damage or injury, not the actions that led to it. In other words the conduct of fleeing and speeding may have been intentional but the causing of injury was not intentional. As the court stated, the purpose of our auto insurance liability laws is to afford protection to people injured by other drivers acts. The insurance company says that when the accident or injury is intentional there is no coverage. The distinction pointed out by the court is that drivers routinely do things intentionally that result in accidents such as speeding, running stop signs, red lights, improper lane changes or as here failing to yield to the vehicle that has the right of way such as the Tanners. To exclude coverage for these types of “intentional” acts would make insurance liability essentially a waste of time. So the focus is; did Gibbons intend to cause the injury? The evidence shows he did not, in that he slammed on his brakes and skidded in an attempt to avoid the wreck and injuries to the Tanners. This case is a victory for innocent drivers on the road such as the Tanners who otherwise would be victims without recourse of the negligent acts of other drivers who at the time of the wreck may have been committing an intentional unlawful act such as speeding or running a light simply because they were in a hurry.